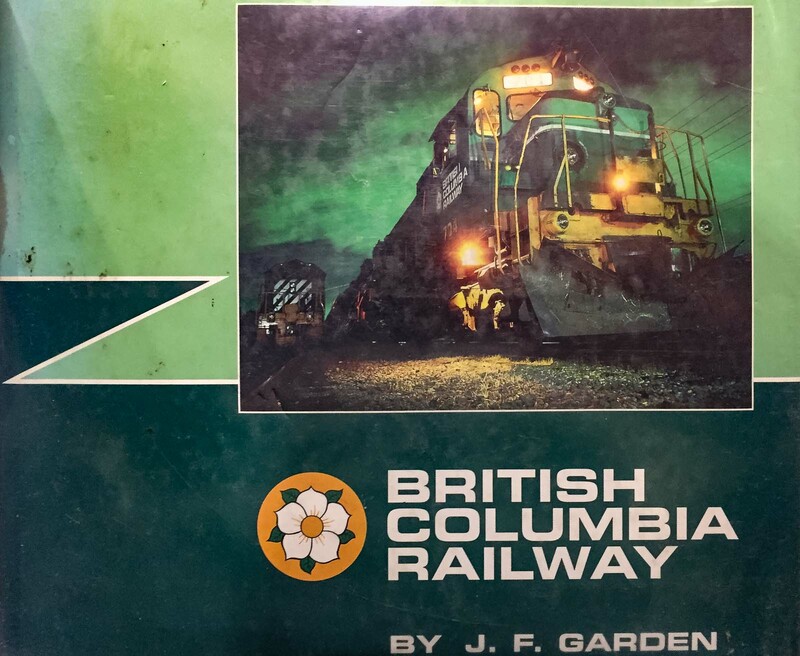 I recently borrowed the book "British Columbia Railway: From PGE to BC Rail" by J.F. Garden from the Winnipeg public library. I would freely admit that I didn't know much about BC Rail (as I refer to it) and I looked forward to learning more. It's quite an imposing book. Weighing in at about 3.5 pounds and 456 pages, this is not a light read in any meaning of the phrase... but it is highly readable. The book starts with a foreward by M.C. "Mac" Norris, former CEO and President of the British Columbia Railway. The history of the Pacific Great Eastern, the British Columbia Railway, and BC Rail is intertwined with the history of politics in British Columbia. The railway has always been owned by the government and subject to the whims of whatever political party was in control, so Mr. Garden goes into considerable detail on the history of the railway and how it was affected by the parties in power. This sounds really dry, but it isn't. The author writes in a fairly tongue-in-cheek style, and the text is liberally decorated with high quality photographs of the railway. British Columbia is incredibly scenic, and the photography in this book is outstanding. 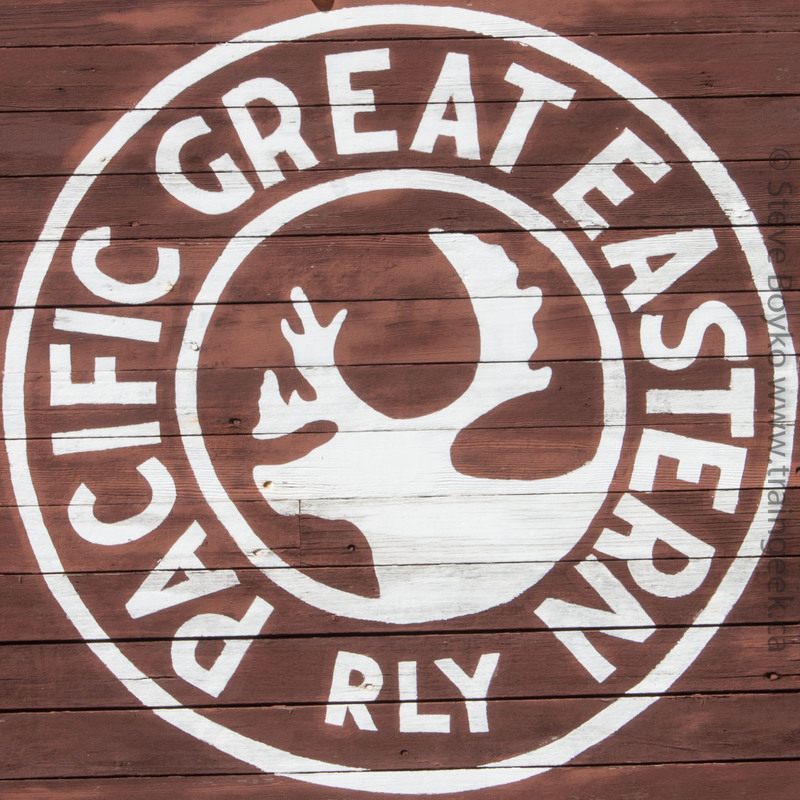 60 pages are dedicated to the Pacific Great Eastern, and another 118 pages are devoted to the successor, the British Columbia Railway. 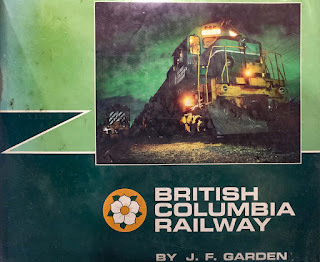 My favourite part of the book is "A Tour of the Line: BC Rail", showcasing numerous locations on the BC Rail network from North Vancouver through Prince George and Chetwynd, with branch lines well represented as well. This book's first printing was August 1995, so it doesn't cover the end of passenger service on October 31, 2002, nor the 2003 sale of BC Rail to CN. It would be interesting to see another edition of the book that fills in that 8 year gap, but perhaps it's best that the book ends on an optimistic note, full of hope for the future of the railway. "British Columbia Railway" is chock full of excellent photographs by the author, as well as many, many photos by outstanding railway photographers such as Steve Smedley, Greg McDonnell, Dave Wilkie, Roger Burrows, Nils Huxtable and Ken Perry among many others. The caption information is generous and really adds to the photographs. I can't say enough good things about this book. If you have any interest in the PGE, British Columbia Railway, BC Rail, or even CN's operations on the former BC Rail territories, you should get this book. Used copies are available on Amazon or you may be able to find it in your local library. If you purchase the book from Amazon using the link provided, I receive a small commission at no extra cost to you. A wonderful book on BC Railway. An even better book covering BC Rail is NORTHERN LIGHT - A Portrait of BC Rail by Dale Sanders (2009). Tracking down a copy would be well worth the trouble. Thanks, Larry - I see it is still available for sale from the publisher, White River Productions.